Underground storage tanks (UST) were commonly installed during the oil crisis of the 1970’s when property owners preferred their large capacity and the ability of purchasing oil large amount of oil when it was economically reasonable. 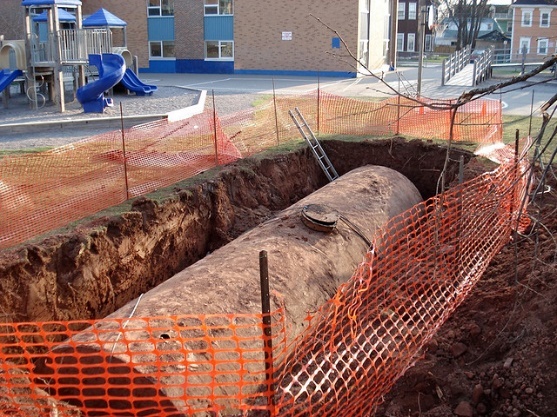 Many properties located in our district still have and use these underground storage tanks. Most are made of bare steel which commonly corrodes over time and causes these tanks to leak. These leaks can result in both petroleum and other harmful substances to seep into the soil and contaminate the groundwater that is our major source of our drinking water. Chesprocott Health District has a local ordinance that regulates underground fuel oil tanks (UFOT). All UFOT need to be registered with our Health District. If the UFOT is older than 15 years, then it should be removed. Both the Fire Marshal and Chesprocott Health District staff MUST be notified prior to removing the UST and be present for the removal. The removal contractor shall take soil samples to determine and document if the tank had leaked.